Our Metis Cultural Resource Centre is open Monday to Friday from 8:30 a.m. to 12 p.m. and from 1 to 4 p.m. with the exception of Tuesday mornings, where we are closed for staff meetings. Please consult our Rimouski Resource Centre opening hours here! Use of our centre is free but please feel free to donate anything you can to help us maintain this important resource for the community. For some services, such as photocopy services, a small fee will be asked. 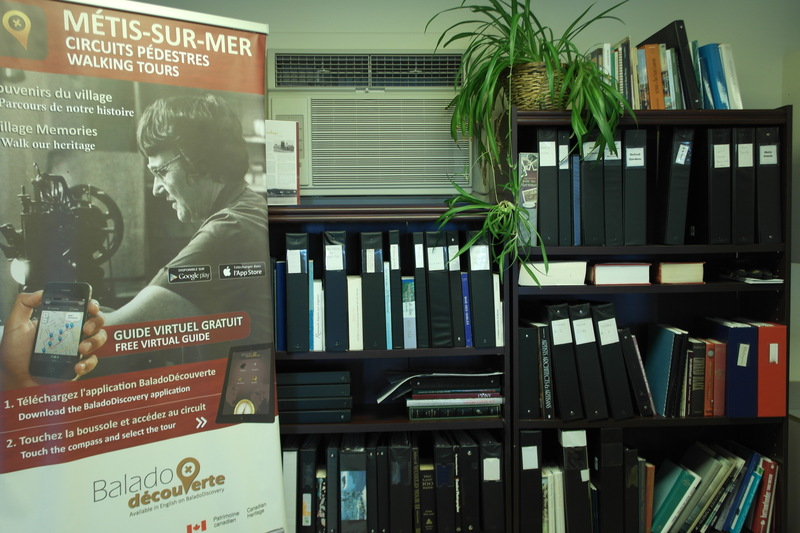 The Metis Cultural Resource Centre houses an extensive collection of historic material and documentation including photographs, articles and books documenting the history of the English-speaking community of the region. These documents are freely available for consultation and research, whether you’re a historian or simply interested in local history. Whether making copies of the reference material in the centre for use at home or printing flyers for your community event, a versatile photocopier is available for your personal use. We ask that you come in at ;east 15 minutes before closing time to make sure we can help you. Pricing: black&white copies are 5c and color copies are 25c per side. A laptop and WIFI are provided for your convenience and use. Information pamphlets about local attractions and activities, as well as our Walking Trail information are available in English and French. Do you have a community event planned? Or perhaps you want to know what is going on in and around Métis. Community noticeboards with news and events are displayed in the centre. We also publish Info-Metis, the community and municipal bulletin, featuring monthly Metis activities and services. Hunting or hiring? 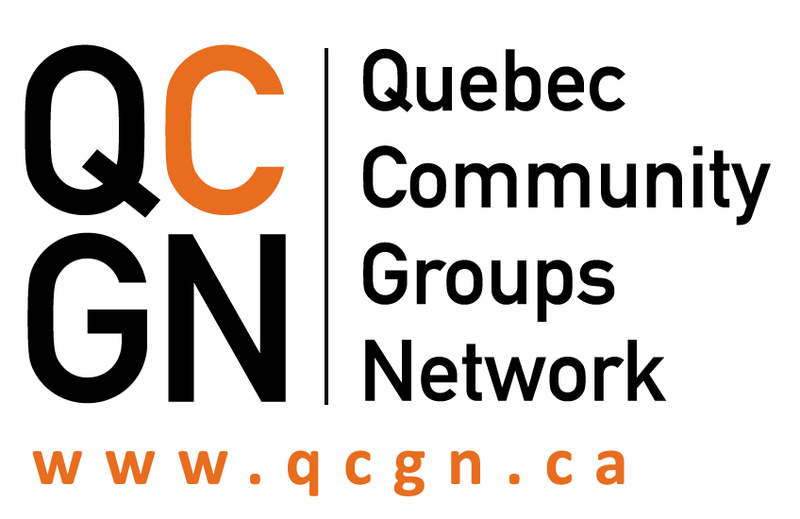 Drop by and see how we can help: job postings, info about careers in health & social services or in the legal field, help with your CV and search, networking, training opportunities, YES Montreal employment services, etc. A wide variety of pamphlets and information booklets are available in English and French covering topics such as programs for seniors, Educaloi documentation, health & social services, community services, fitness, career opportunities, public information and awareness campaigns, etc. Heritage Lower Saint Lawrence is passionate about preserving the history and heritage of the region. We have published two books, with versions in English and French, that are available to buy in the centre: The Metis Lighthouse by Alexander Reford and Metis, Wee Scotland of the Gaspé by Alice Sharples Baldwin. 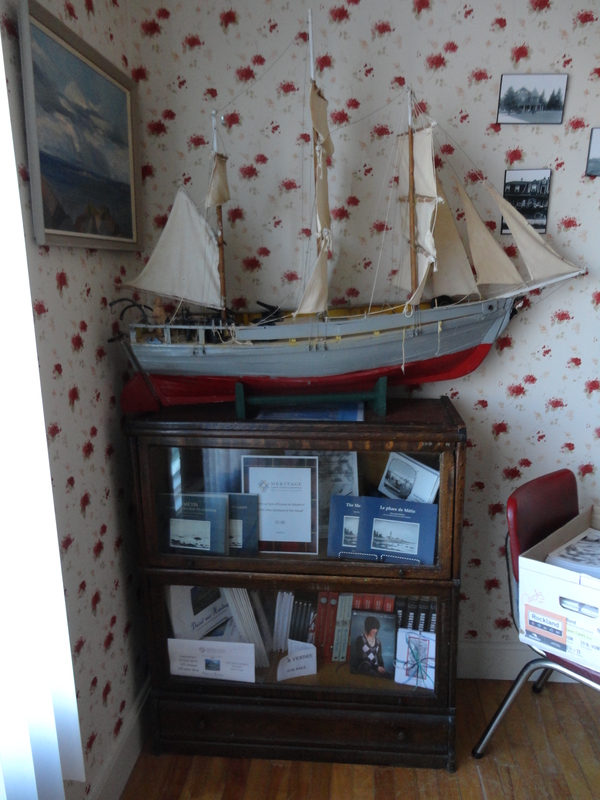 Other items such as our Walking Trail guide and historical hotel cards are also available.